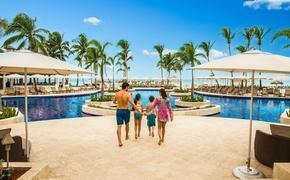 All-inclusive resort company Club Med announced new deals on land and air packages to Club Med Ixtapa Pacific. As Ixtapa, Mexico, is only a non-stop flight from Los Angeles (LAX), Houston (IAN) and Phoenix (PHX), Club Med is offering special all-inclusive flight packages from these three destinations to the Ixtapa-Zihuatanejo International Airport. Couples and families can discover a Mexican escape from Los Angeles to Club Med Ixtapa Pacific on Alaska Air starting from $1,099 per person for travel dates Apr. 30 to Oct. 28, 2011. Houstonians can fly to Ixtapa with package rates starting from $1,199 per person for travel dates Apr. 30 to Oct. 28, 2011 on Continental Airlines. For people traveling from Phoenix to Ixtapa, Club Med offers package rates starting from $1,299 per person via US Airways for travel dates Apr. 30 to Oct. 22, 2011. Direct flights depart at least once a week from all three locations, making it all the more convenient to enjoy an all-inclusive escape to Club Med. For reservations or more information, call 800-248-5463 or visit www.clubmedta.com.